When some parts of the NHS fell victim to the WannaCry ransomware attack in May, it seemed to illustrate fears about the health service: a long-term shortfall in funding and IT infrastructure had left it woefully exposed. While reports of complete ‘paralysis’ in services were an exaggeration, experts said the NHS had been made vulnerable because it no longer has a centralised approach to IT issues. This was after the ambitious NHS National Programme for IT was declared an expensive failure in 2010, with the strategy switching to local regions co-ordinating their own investments. National programmes do remain, however, with the Health and Social Care Information Centre (HSCIC) being relaunched as NHS Digital in late 2016. NHS Digital’s vision isn’t just to get the IT infrastructure in place, but to make digital interaction with the health service as easy and as natural as online banking or shopping. The ultimate goal is clear: to involve as many people as possible in managing their own health, and thereby minimising or preventing demands on frontline NHS services. 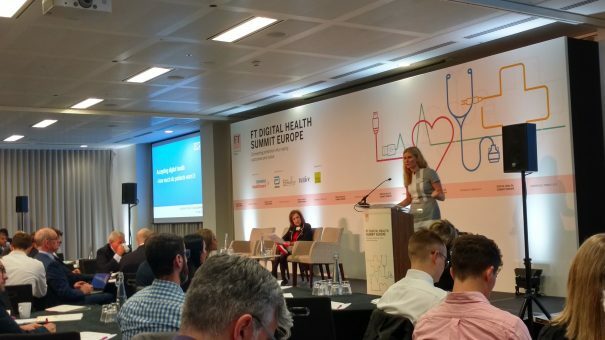 Speaking at the FT Digital Health Summit Europe this week, NHS Director of Digital Experience, Juliet Bauer said significant progress is being made on this front. The NHS Choices website offers a range of health advice to patients, and now attracts 1.5 million visitors a day. Moreover, it now features a GP appointment booking tool and e-Referral service, helping it build towards being a one-stop portal for all NHS patients. NHS England’s Patient Online services – which include the ability to book and cancel appointments, order repeat prescriptions, and view GP records – now has more than 11 million registered users. Meanwhile, the roll out of free Wi-Fi across all of England’s GP surgeries is on track to be completed by the end of this year. Hospitals and secondary care will follow next year, bringing the completion date for the entire NHS estate to 2019. A long-awaited NHS Apps Library was also launched this year, with the aim of giving the best apps an NHS stamp of approval, and helping to improve patient experience. Yet in the same timeframe, the NHS has fallen foul of several repeat offences thanks to its lack of up-to-date technology. Problems with mailing of letters to patients reportedly put almost 1,800 patients at risk, bringing into question whether a digital system would have been a more efficient process. During the same time period, NHS Digital has seen three out of four of its executive board members leave whilst Beverley Bryant, Director of Digital Transformation at NHS Digital, is soon departing for greener pastures after three years of service. MedTech and websites: can they ease burden on NHS? App brokering- ie giving that NHS stamp of approval – is where Bauer sees great opportunity for the NHS. myCOPD – a management app for chronic obstructive pulmonary disorder – is the first and only NHS approved app so far and lets patients record their symptoms, learn how to use inhalers, and exercise to maintain their health. 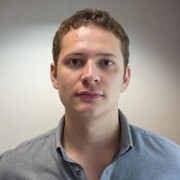 The app is free in England via an Innovation and Technology Tariff and, according to Bauer, is the perfect example of where the NHS should be expanding. myCOPD aims to brings together patients and clinicians in a single, integrated platform to deliver advanced patient self-management, education, pulmonary rehabilitation and disease management. A ten month trial of the app showed 95% of participants who used the system improved their symptom score – something which could save the NHS time and money in the long run, if these results can be replicated in a broader population. Despite the progress though, NHS Digital knows it needs to keep making these moves quicker, according to Bauer. One crucial area is in the construction of electronic health records (EHRs) – particularly in regard to providing a consistent, secure and connected solution. Unfortunately, big EHR vendors are proving a struggle to work with. According to Rachel Dunscombe, Salford Royal Trust chief information officer, they are unwilling to ‘open up’ the patient data they have in order to integrate it into a single form. She said her Trust is now working with vendors directly to overcome the issue, creating EHRs for its hospitals. One of its biggest obstacles, according to Bryant – also speaking at the Summit, is digital literacy. Bryant’s point of digital literacy was in reference to both NHS employees and patients. The NHS needs skills to use innovative tools, but patients need to know how to use potentially disruptive technologies if they want to streamline their end of the process. To solve the problem, Bryant stated an objective given by Prof Bob Wachter in his report of the NHS’ digital progress last year. As Wachter suggested, more chief clinical information and chief medical officers need to be present at the board level. The idea being to drive the process from the top of the system down. Although Bryant was insistent on the digital literacy issue, what is still likely to be the system’s biggest problem is funding. In early 2016, the government pledged £4 billion in NHS investment specifically aimed at driving toward a ‘paperless’ system. Areas where the money would be spent were the replacement of out-dated technology, cyber security and data consent, out-of-hospital, social and emergency care, and the new NHS Choices website. Other aspects however remain unaddressed. £100 million of the money was also supposed to go toward 16 NHS ‘digital exemplar’ Trusts – Trusts that would lead the way in the NHS’ digital transformation. But none of the Trusts have yet receiving the funding, a full eight months after it was originally meant to be paid out. Many are concerned that a repeat of the ill-fated Tech Fund 2 – a £240 million pot specifically put aside for digital which was reduced dramatically to £43 million in 2015 – may be on the cards. While wider concerns about a shortfall in NHS funding grow, history tells us that long-term investment projects suffer when money gets tight in the health service. The free Wi-Fi by 2019 will help pass the time for patients waiting in hospitals and GP surgeries, but the wait for a digitally enabled NHS – and the efficiencies it could bring – will require greater patience.